A mask for for dry, fragile, coloured or highlighted hair. 6.7 fl.oz. Formely L’Onguent Eternel, the Masque Amande et Romarin is a mask to hydrates, nourishes, revitalizes and regenerates the hair. This deep nourishing treatment revitalizes hair without sacrificing volume. Protects colour from degradation due to UVA/UVB rays. Beauty mask for dry and fragile hair, this treatment offers optimal and immediate hydration for healthy hair. 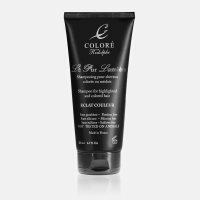 This intense nourishing mask contains Baobab oil and an anti-aging protein complex specifically conceived for highlighted or colored hair. 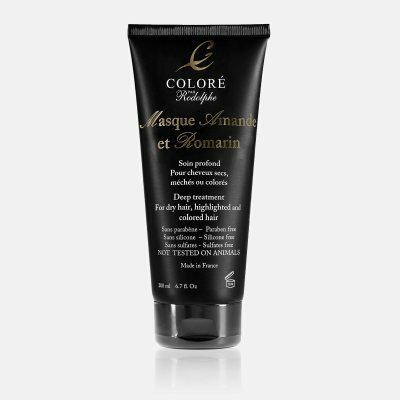 The Masque Amande et Romarin hydrates and nourishes the hair. 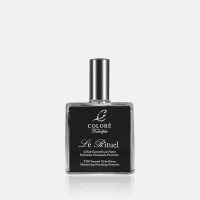 It revitalizes and regenerates the hair to restore a very smooth, shiny appearance while oxygenating and balancing the scalp for an optimal volume. For a deep nourishing treatment mix the MASQUE AMANDE ET ROMARIN and dry oil LE RITUEL and apply this mix to hair leaving it on all night.